Bel-Ray Thumper 4-Stroke Racing Motor Oil is specifically engineered to meet the demands of single cylinder multi-valve 4-stroke racing engines. 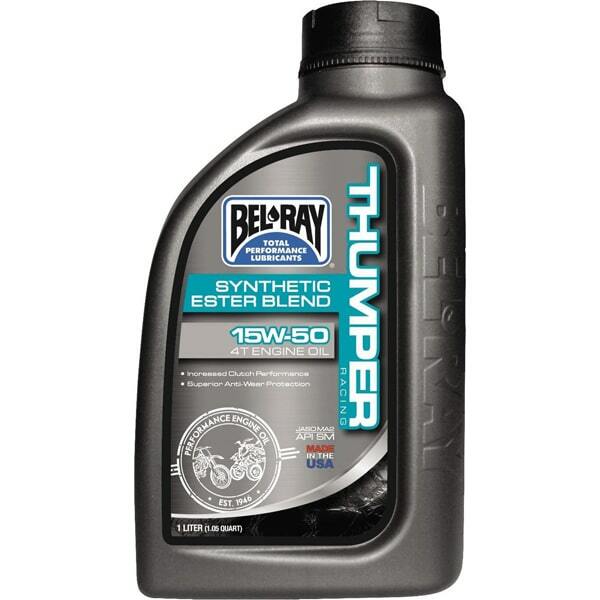 The high temperatures and severe loads of racing require the exceptional film strength, shear- and temperature stability of Bel-Ray Thumper 4-Stroke Racing Motor Oil. • Equally suitable for air-cooled and liquid-cooled engines.